Tyn Rhos offers a truly luxurious experience in the Snowdonia countryside with remarkable views, expansive gardens, a top fine dining restaurant (open to both residents and non residents) and superbly decorated spacious rooms. 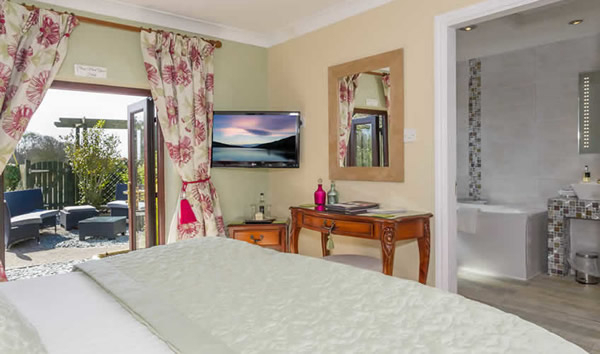 Tyn Rhos has spacious luxury rooms with superior rooms boasting their own private courtyard garden. Each is individually decorated to a very high standard.